Functional MRI (fMRI) studies of the brain are based on the observation that neuronal activity is coupled to cerebral blood flow. 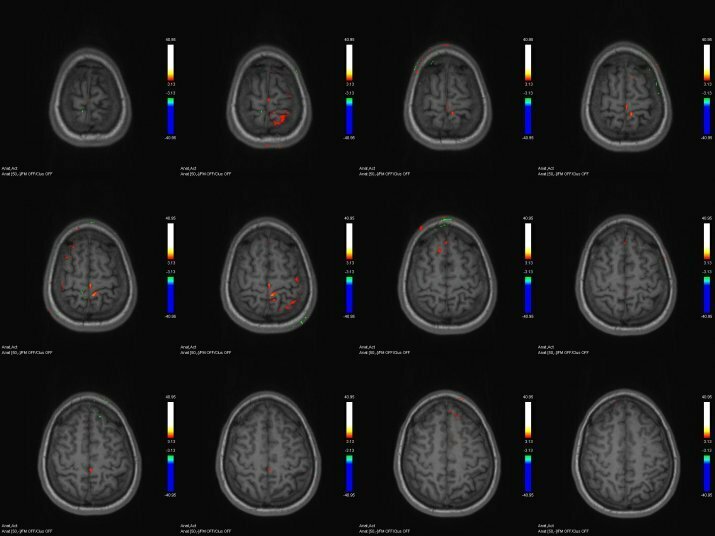 One form of fMRI, so called blood-oxygen-level-dependent (BOLD) MRI, permits the visualization of areas with enhanced neuronal activity by detecting the increased inflow of oxygenated blood to the respective regions of the brain. Therefore, fMRI is the most important non-invasive tool to study the functions of different neuronal networks. In addition, fMRI can help by testing the integrity of spinal cord and its neuronal response after spinal injury. At the moment, the integrity of neuronal pathways in the spinal cord is evaluated by electroencephalography (EEG), a technique where the electrical activity of the brain is recorded via electrodes placed on the scalp. The major drawback of EEG is its limited spatial resolution of a few centimetres. Therefore, alternative pathways for signal transmission might be identified which can provide information about regenerative processes. In close collaboration with the Medical University of Innsbruck, Austria, the Ergospect GmbH developes a new device, the Orthospect Neuro module, which enables a passive movement of the lower extremities of patients affected by spinal trauma. Thus, it is possible to study the integrity of neuronal pathways after spinal trauma by measuring neuronal activity in the brain by fMRI during passive movement of the lower extremities. At the moment, first experiments are carried out in healthy probands to optimize the measuring protocols and product design.